Hello there readers! Just wanted to share my latest creation with you all. 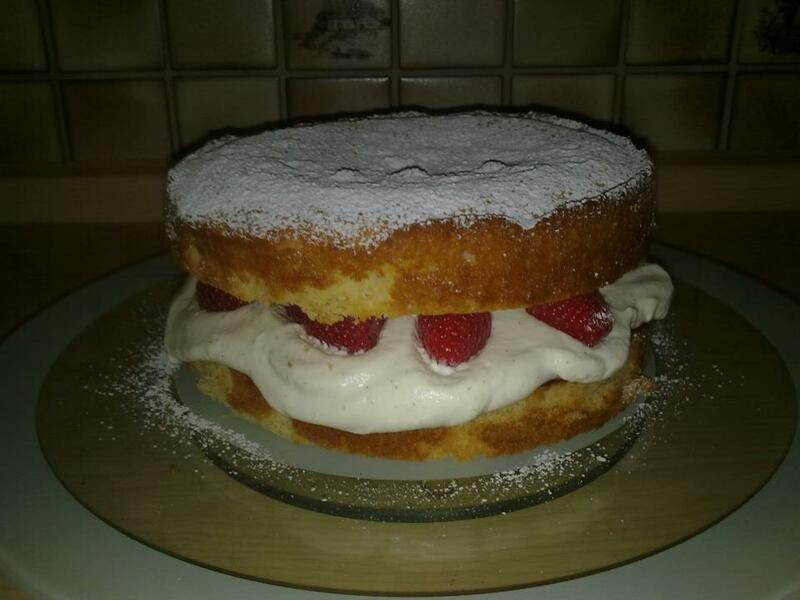 I LOVE to bake and have made this typical English cake for a few ladies that I teach English to. I have taken the recipe from Jamie Olivers cook book called Jamies Great Britain. It’s basically two layers of cake, a layer of raspberry jam, vanilla cream, fresh raspberries and a dusting of icing sugar. I think it looks delicious! Will let you know later!